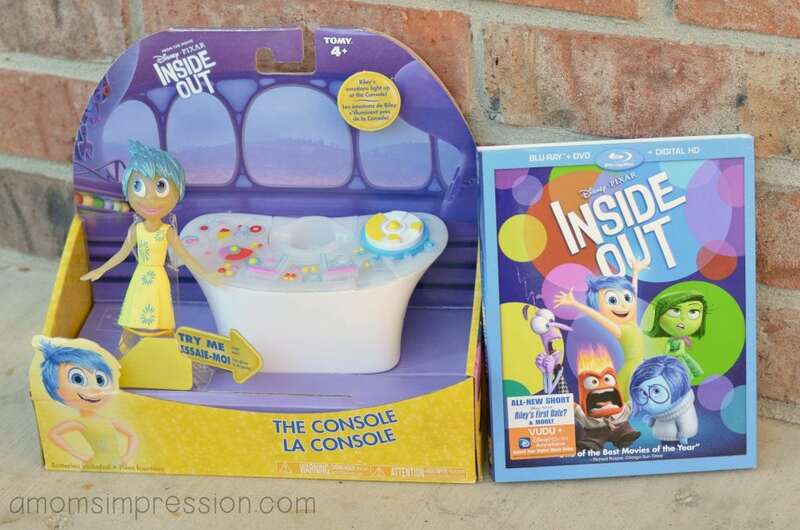 I was so excited when Inside Out came out on DVD/Blu-ray earlier this month. I ran to Walmart and picked up a copy for my family. Keep an eye out for it on your next shopping trip! Since we have taken it home my kids have watched it several times. It was my daughter’s first movie in the theaters and she had a fantastic time. Her favorite character is Sadness and she loves telling everyone all of the characters traits and how silly they are. Inside Out is a wonderful movie for many reasons but one of my favorite things about the movie is that it shows kids that its okay to get in touch with your feelings. It tells kids that its okay to be happy and sad all at the same time. I work with young children who are trying to figure out why they feel a certain way and having this movie has helped me talk to them about it. In my classroom we have a safe spot underneath a small table for a few kids to have a “chill-out” time if they need it. It is a safe place and for these kids who just need to “hide” for a bit, it becomes a way to figure out why they are feeling the way that they do. In the quiet spot I have a few objects that help the student calm down including a water bottle filled with glitter, a few fidgets, and a small smooth rock. The rock went in a few years ago when I had a student who liked the way it felt in his hands. There are rules for these objects and the kids have down wonderfully with them. The other day I was cleaning up the chill out space and saw the rock and got an idea. 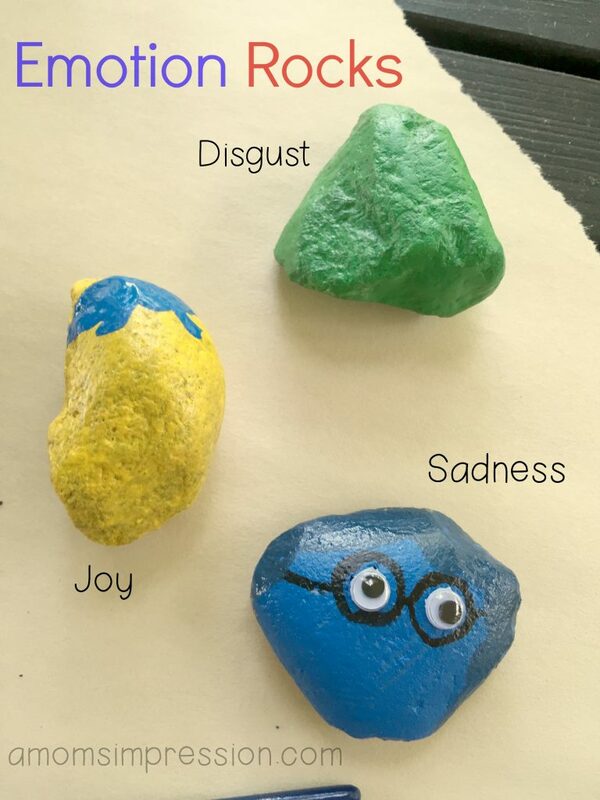 What if I created some mood stones inspired by Inside Out characters so that kids can think about their feelings while they are under there. Thus began our hunt for the perfect shaped rocks to make mood rocks from. 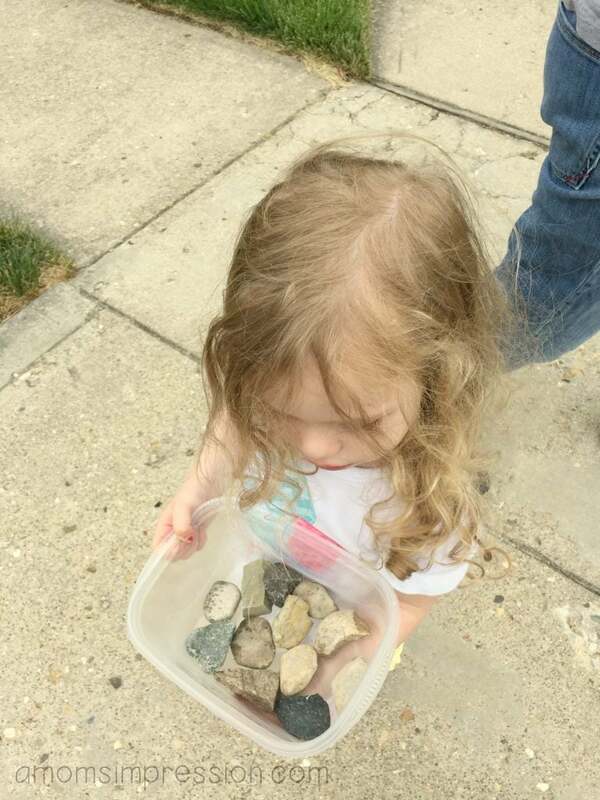 The kids and I scoured our neighborhood looking for the perfect rocks. When I visited Pixar earlier in the year the filmmakers told us that the emotions were modeled after shapes, so I was in search of those shapes. We came pretty close after two days of exploration and then broke out the paints and got to work. 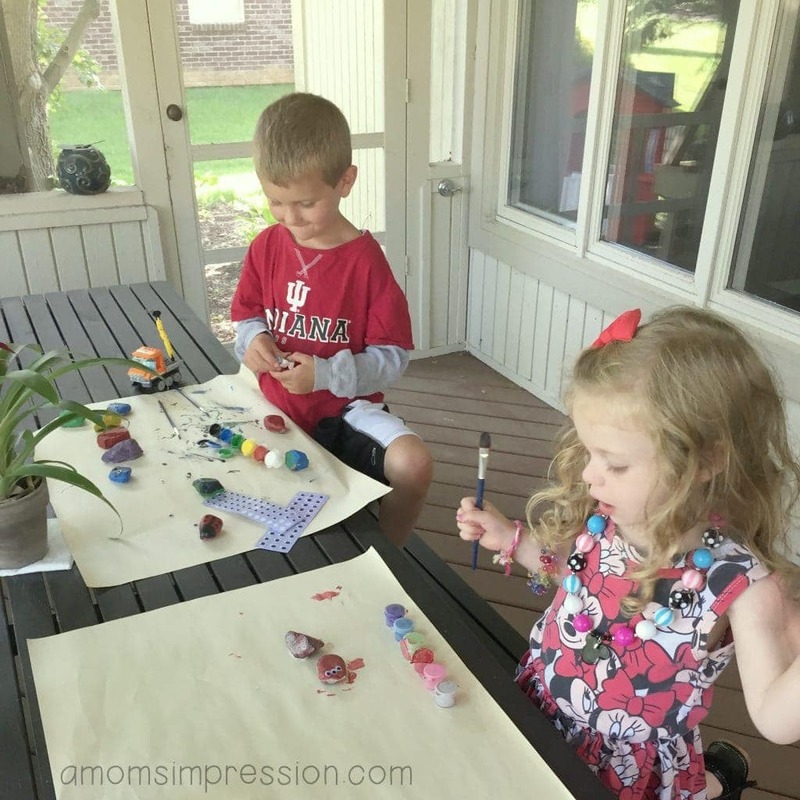 The kids wanted to make some pet rocks while we were at it so I got some materials and we all got to work. Caroline ended up using the entire pot of pink on one single rock! Then she put a bunch of eyes on it and called it her monster rock! I love her creativeness! Creating the rocks took a few days. While it was an easy process, it does take a bit of time and patience but they turned out cute! 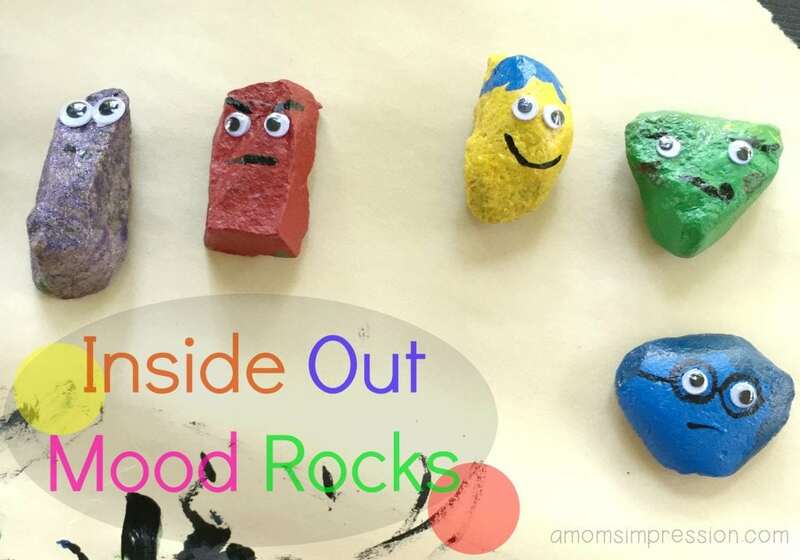 The first day you simply paint the rocks the color of the characters. The next day you go back in and add the details to help give the inspiration of each emotion. Finally add your google eyes and your done! The photo above is my work in progress but you can see how they turned out on the photo on the top of this post! I brought these to school a bit ago and everyone loved them. So far I haven’t had a student have to go to the chill spot, but I hope these guys can help them get in touch with their emotions. They would also be a cute addition to a rock or flower garden as well. 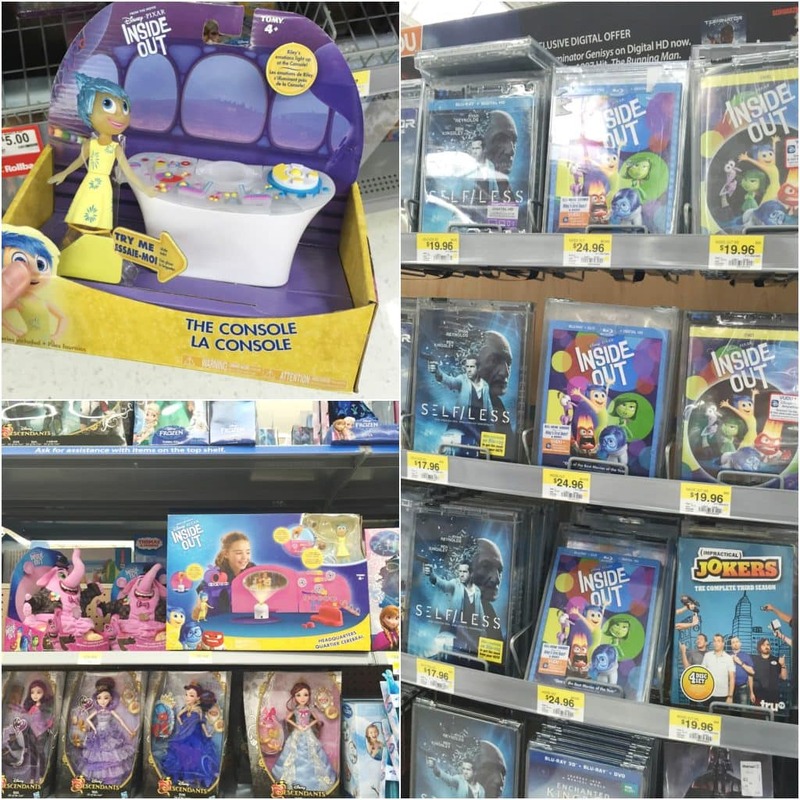 You can find some fun Inside Out toys at Walmart in the toy section while you are picking up your copy of the DVD or Blu-ray! I found them right next to the Disney toys and dolls in the toy section. I also found the DVD on a pallet in the middle of the aisle in the electronic department. They also had them at the front of the store by the cash registers. I hope you love Inside Out as much as we do. Follow the hashtag #InsideOutEmotions on social media for more creative ideas surrounding the film. You can also share how you and your family is enjoying this special movie.